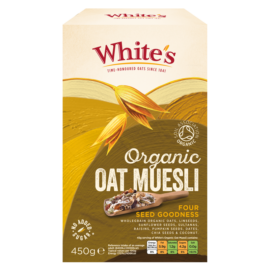 Muesli is a wonderful natural raw cereal and can be added with a number of different ingredients like blueberries and pecan nuts to make a nutritional powerhouse breakfast like this overnight oat recipe below. Simply prep the night before and you’re ready to grab n’ go. 1. Place the muesli in a clip top jar. 2. Add the milk and vanilla and stir until thoroughly combined. 3. Seal the jar and refrigerate overnight. 4. In the morning, stir in the yogurt and top with the fruit, nuts and a drizzle of honey or agave nectar.